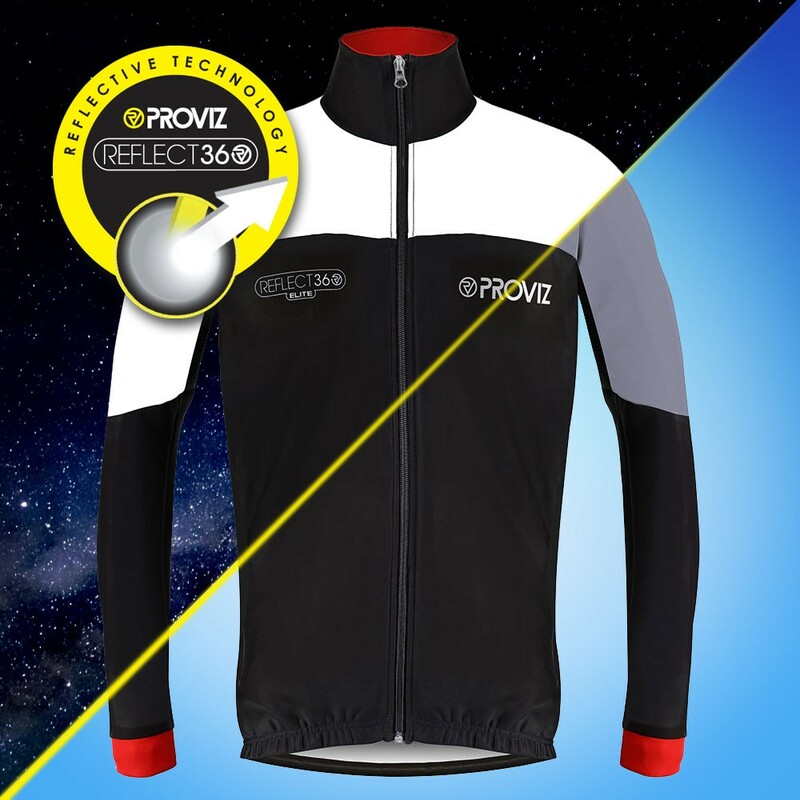 The REFLECT360 Elite cycling jacket is the latest jacket to be introduced to our best-selling REFLECT360 range. 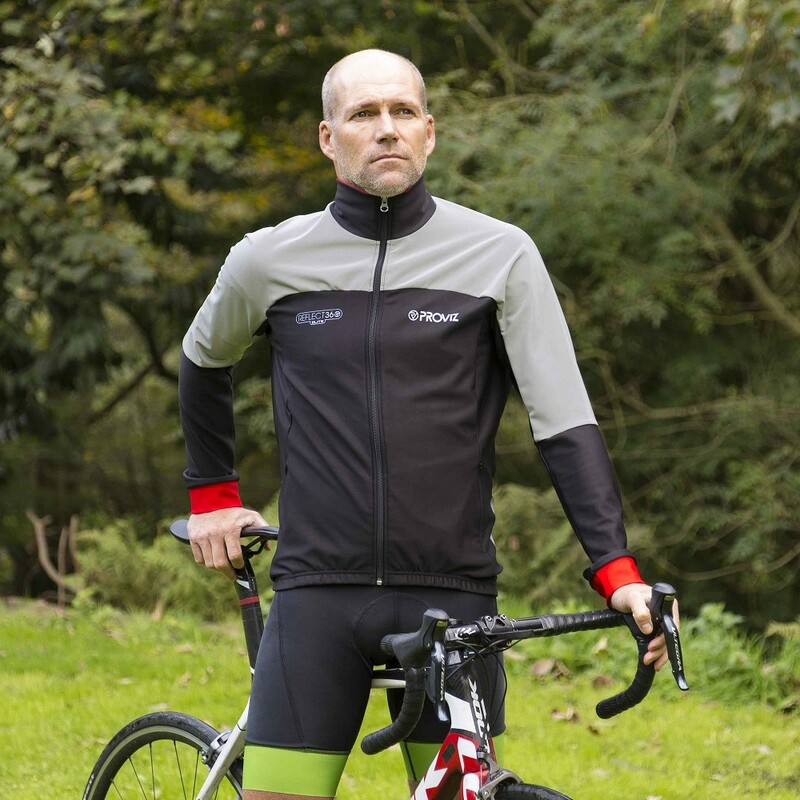 The jacket utilises unique four-way stretch reflective material to give you complete flexibility and comfort while having the added benefit of being fully reflective when caught in a vehicle's headlights. 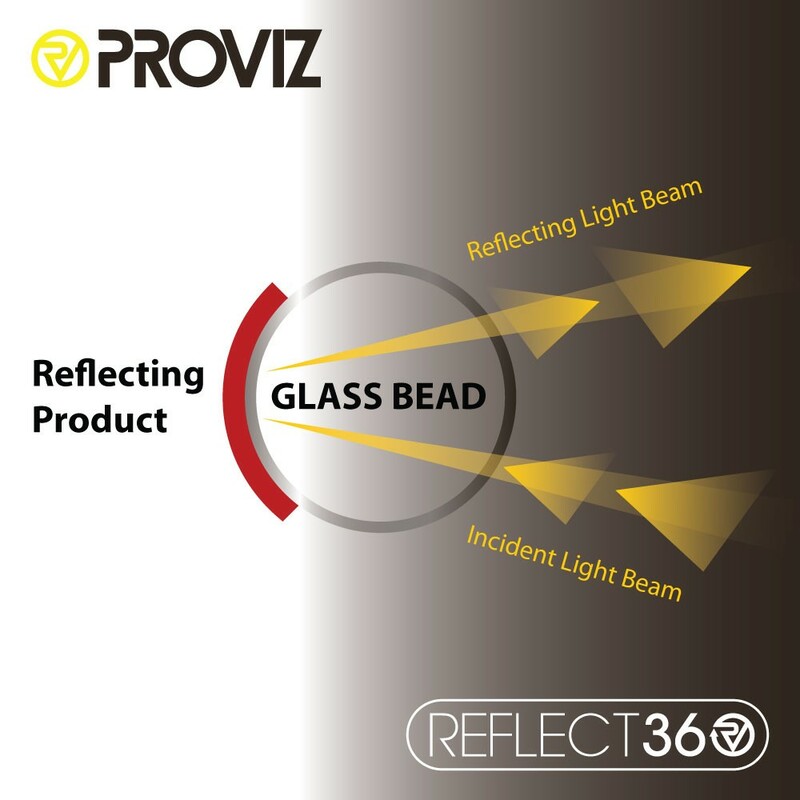 This new material, sourced in Italy, brings a new dimension to the REFLECT360 range. The jacket has a silicon powerband around the waist to give the perfect on-bike performance fit. It is also wind-resistant, water-resistant and completely breathable to give road cyclists a product they can use throughout the winter. 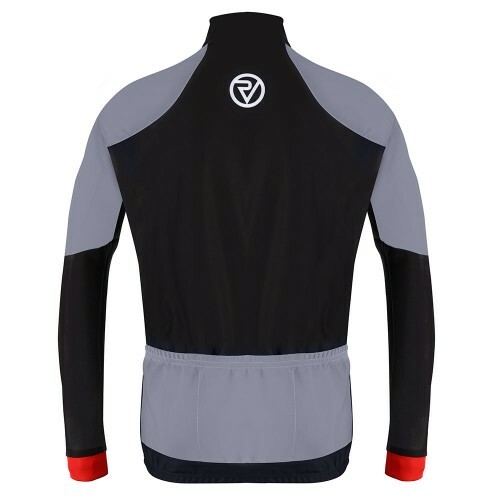 We have designed the arms and body of the jacket using Hydro Alpine 260 GSM fabric that enables ultra-fast drying and through flow of air which helps to regulate your body temperature and gives great insulation on those cold winter days. 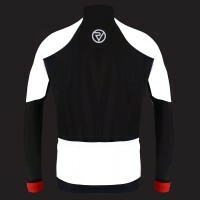 The cuffs are double layered Lycra fabric. 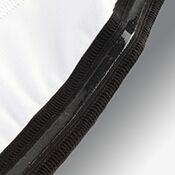 There is also a dropped tail to block wheel-spray and above the tail you have three pockets to house your extras and two hidden side zipped pockets for your essentials. 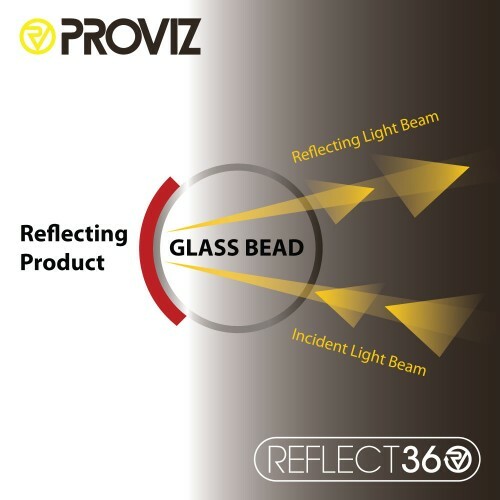 About the fabric: The material has millions of tiny reflective beads embedded in the material so when a vehicle's headlights hit the jacket, the beads reflective the light back to the light source meaning the driver should be able to identify the cyclist further in advance than normal and manoeuvre appropriately . 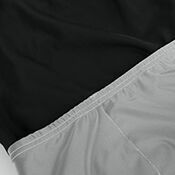 During daylight it is a modest grey colour. 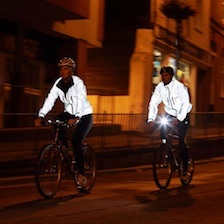 At night, when the fabric picks up an external light source, eg vehicle headlights, it gives ‘astonishing reflectivity’ (quote: Cycling Active Magazine). 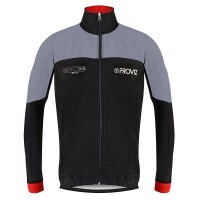 This is my first purchase from Proviz and I will be back next winter! 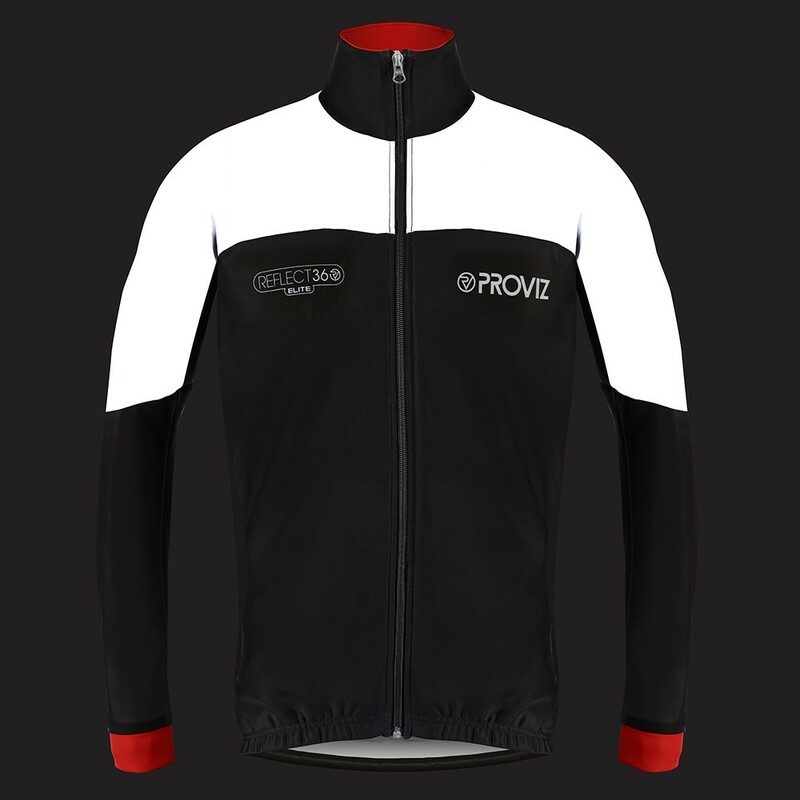 This jacket is a perfectly crafted piece of kit. It's warm, it's uunbelievably bright in headlights and it I am very please to recommend your great products to other in my club. 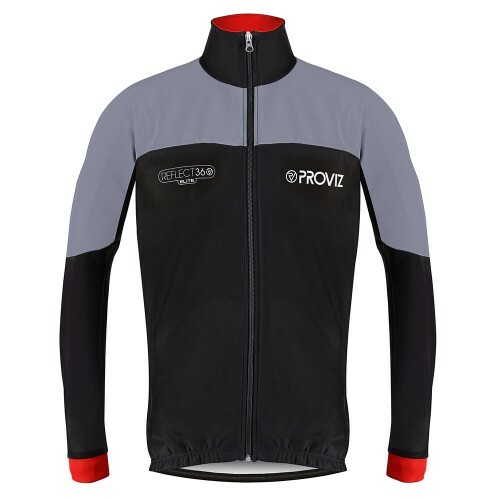 I own a fair few cycling jerseys from some top brands and this jacket is absolutely up there in terms of fit, quality, weight and the reflective material is amazing. 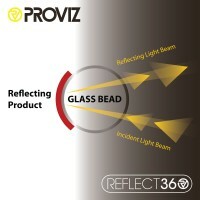 Totally fair price for this technology too, gone on a few dusky rides and love the effect it gives. Nice to see Proviz offering this level of jacket to people who really need that performance fit. 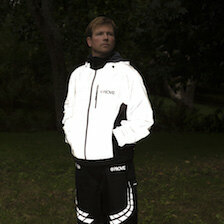 I am an ex Pro iron-man and now coach, so I need good kit! I love this top, firstly I can be seen in the dark. 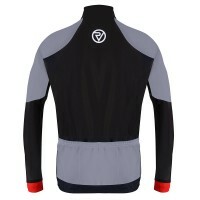 It kept me warm in weather above 10 degrees with just a base layer underneath and it was a good fit. Well done Proviz! The perfect blend of four-way stretch woven reflective fabric and Hydro Alpine 290 GSM fabric helps to ensure a super comfortable and flexible jacket for your rides. 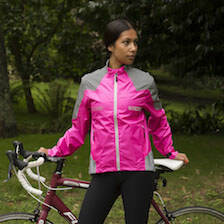 High level of breathability (15,000 gm/24hr) and water-resistance give the perfect year round jacket. 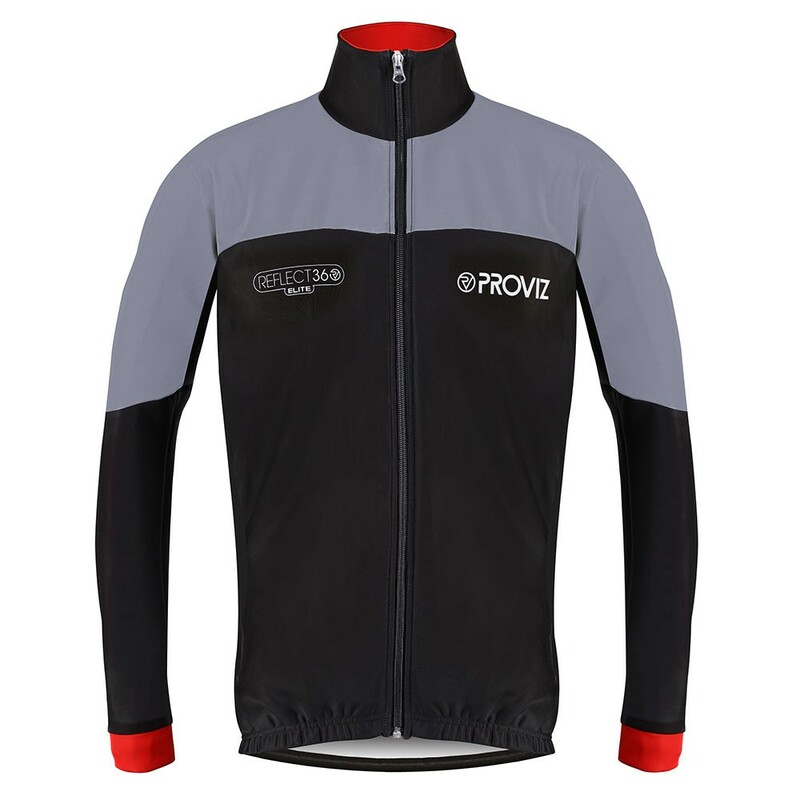 Concealed side pockets allow you to store all of your essentials you’ll need while out on your ride and they’ll keep your hands warm when having a pit-stop! 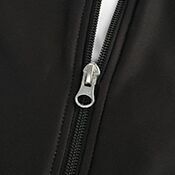 Concealed zips help to give the jacket a slender look. 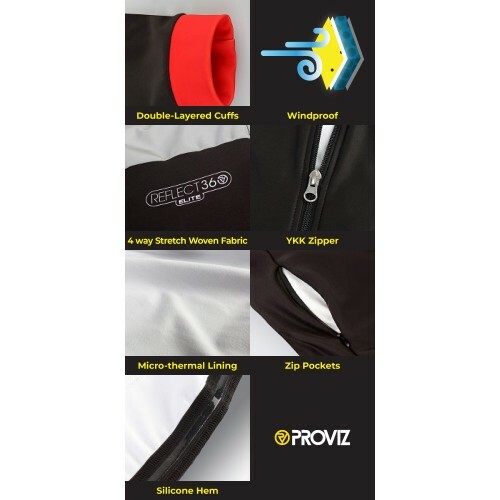 The silicone powerband helps to keep the jacket in place and it will not ride up your back while cycling helping to keep all road spray to a minimum! 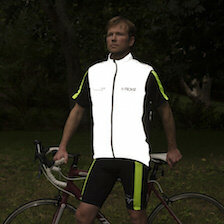 Three fully reflective back pockets enable you to keep an extra layer, cap or gels safe and secure when riding. 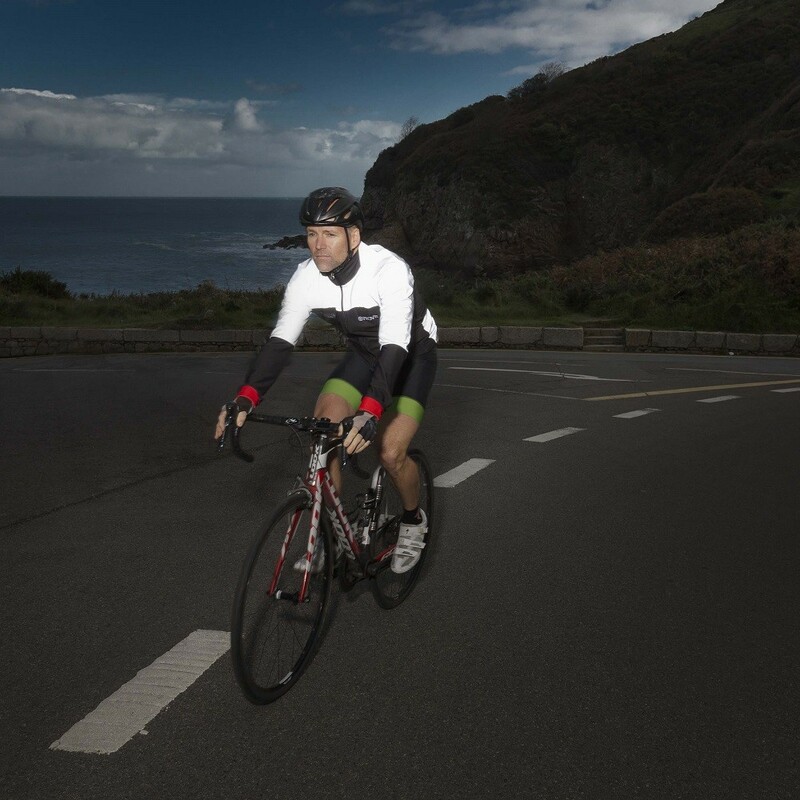 When out at night or in the early morning the reflective material is ideally positioned to reflect headlights back to the driver behind you and help to show your position on the road. 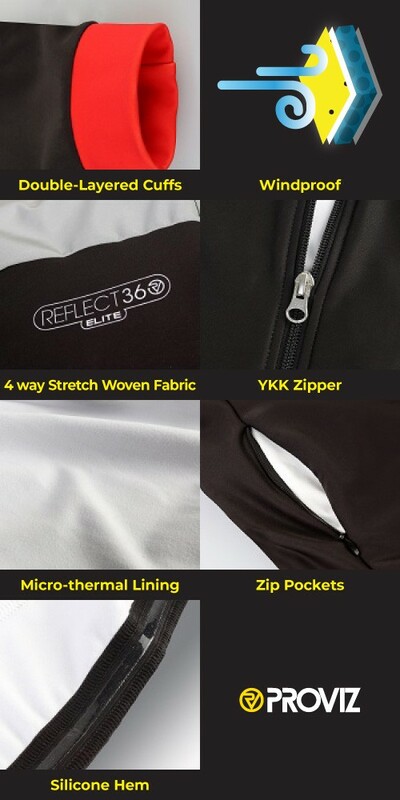 YKK manufacture some of the finest sports zips available. 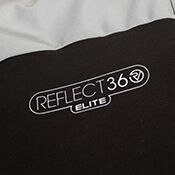 We opted to give the REFLECT360 Elite jacket a chunky metal zipper to make it easier to adjust, even with gloves on. 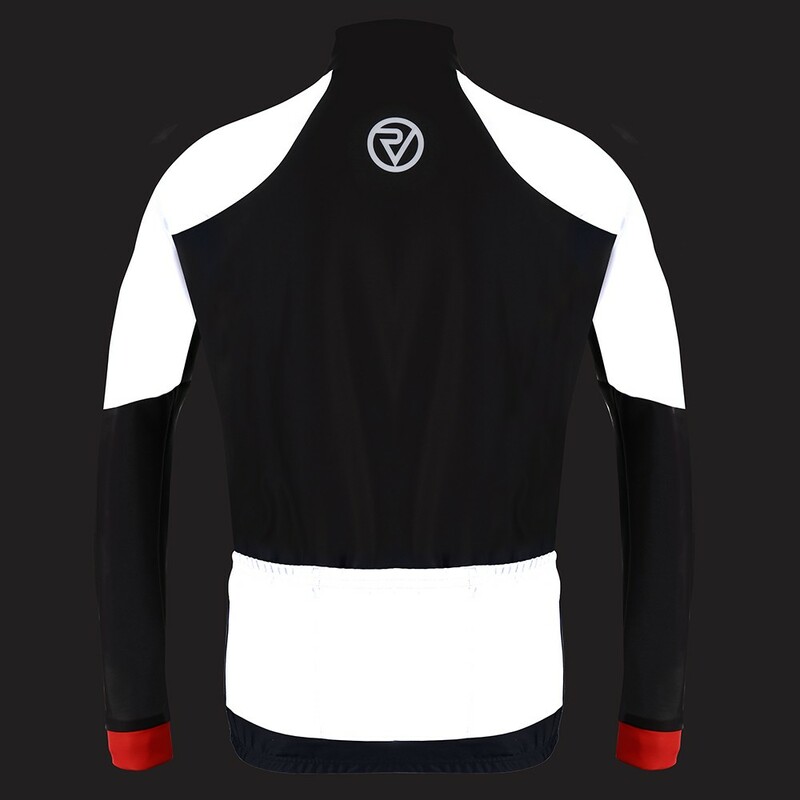 Double layered cuffs help to stop the jacket riding up and keep the cold air out during the colder months. 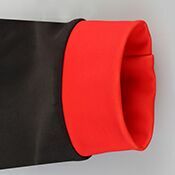 We think the red colour also looks great! Keep warm with the micro-thermal lining during the winter. 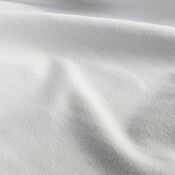 High levels of breathability (15,000 gm/24hr) helps to keep your body temperature cool when the going gets tough!